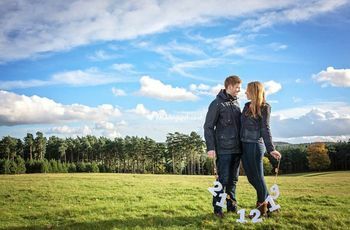 Your Ultimate UK Wedding Cost Breakdown | Wedding Tips ARE YOU A SUPPLIER? So, you’ve got your wedding budget figured out and you’re ready to start spending? Hold your horses! First you need to know how to divvy it up. Here’s a typical wedding cost breakdown in the UK. You’ve got your wedding budget sorted and now it’s time to divvy that up! We’ve done the math and figured out a UK wedding cost breakdown of just how much you should be spending on everything from your photographer to band, making the whole process a no-brainer for you. We recommend keeping track of your totals with our handy dandy wedding budget planner so that you don’t accidentally overspend. Keep in mind that these wedding cost breakdown percentages don’t include an engagement ring, pre-wedding parties and wedding party ensembles, so you may need to work those in too (if nobody else is footing the bill for these). Also, be mindful of hidden costs when getting quotes and making estimates to ensure you’ve built everything into each line item. Here’s a typical wedding cost breakdown in the UK. 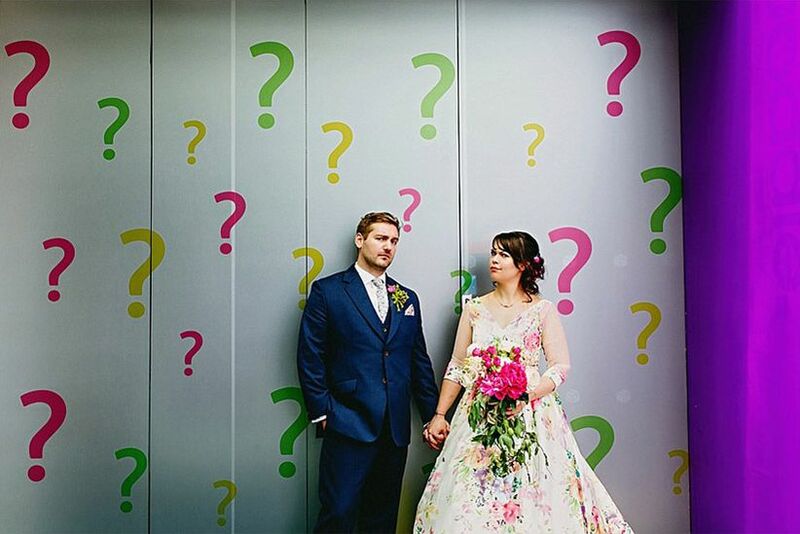 The largest percentage of a UK wedding cost breakdown typically goes to the party that comes after they’ve tied the knot - the wedding reception. The food, drink, furniture and venue will usually take up nearly half of their funds (approximately 48%). Of course, you can always scale back the cost by choosing cheap and cheerful options like cocktail style catering and/or a venue that includes furniture rentals in its wedding package. The second largest wedding investment you’ll make will likely be your honeymoon. On average, couples will put around 16% of their total budget toward their post-wedding holiday. If you plan on doing a minimoon, asking for help from your friends and family with a honeymoon gift list or putting off your vacation for a few months, you can probably splurge on a more costly dress or extravagant cake. If you don’t take pictures of your wedding, did it even really happen? I mean, yes, of course, obviously it happened - but those are some memories you want to hold onto. That means you’ll need to hunt down a skilled wedding photographer and videographer to document the event. The best of the best don’t come cheap, so be prepared to spend around 10% of your budget on them. You want to channel Kate Middleton on your wedding day, not the Paper Bag Princess, and you’re going to need a killer wedding dress, shoes, lingerie and accessories to pull that off. Just under 10% of your budget should be put toward making the bride-to-be look and feel her best when she takes to the aisle. One thing you don’t want to hear on your wedding day? Crickets chirping. That means you’re going to need to hire a band or DJ to keep spirits high and music pumping all night long. Keep in mind for your UK wedding cost breakdown that you’ll probably be spending more money on your reception music than your ceremony music, as the latter tends to be a much shorter gig. When it comes to decking out your ceremony and reception venue(s), you should be mindful of where you're putting your money. After all, decor should only be eating up around 3% of your budget. Wedding flowers tend to be the most costly, so consider working in greenery and other accessories into your arrangements if you’re looking to save a couple of quid. The ceremony may be the most important part of the wedding - after all, it’s what makes your union legit - but it’s definitely not the most expensive. 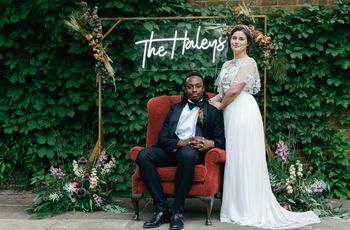 2% of your budget will go toward your ceremony venue hire or donation (keep in mind this will probably be significantly less if you’re hosting your ceremony and reception at the same space) and your marriage fees. You’re going to need to get to and from your venue(s), so you’ll need to include transportation in your UK wedding cost breakdown. Limos and town cars are classic options, but if you want to save a bit of money and say no to the status quo, consider riding bikes (this makes for a great photo op). Into splurging a bit more? Think about pulling up to your reception in a horse-drawn carriage or double-decker bus. Of course, you’ll need to factor your brand new wedding bands into your budget. However, these shouldn’t take the entirety of your 2% jewellery allowance - you’ll also need to think about cufflinks and a tie clip for the groom as well as necklaces, bracelets, hair accessories and earrings for the bride. If you and your partner are total minimalists, you’re in the clear, just focus on finding the perfect set of rings. Yes, the bride’s ensemble will probably steal the show, but the groom should look like a perfect 10 on his wedding day, too. 2% of your budget should go toward outfitting him in a stunning suit, shoes and shirt. If you want to save even more, think about renting an ensemble instead of buying. Wedding invitations and stationery will only take up around 1% of your entire budget. 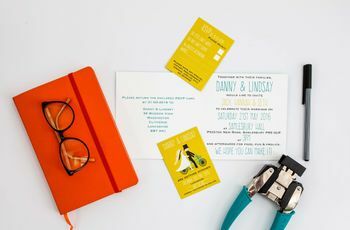 You'll need to include everything from save the date cards to thank you notes, so if you’re working with a smaller total, you might want to skip the embossed lettering and expensive foil graphics and go for a simple, chic design. You definitely don’t want your guests to leave your event empty handed, so set aside about 1% of your wedding funds for favours. Remember, these don’t have to be extravagant gifts, your guests will appreciate anything - it’s the gesture that counts. If your wallet’s feeling a touch too light for your liking, consider going for inexpensive (but still adorable) options like packets of seeds or homemade biscuits. Hair, makeup and pre-wedding beauty treatments for both the bride and groom should eat up roughly 1% of the overall budget. If you’re extra skilled with a curling wand or think you can tackle applying beard oil without the help of an expert, you may be able to shave a few quid off your bill. This ambiguous category is reserved for all the little things that pop up unexpectedly as you plan your wedding. This could be anything from last-minute accommodations for your soon-to-be mother-in-law to an extra delivery charge for your flowers.